In an as-told-to essay for College Game Plan, Caroline Danehy, co-founder of Fair Harbor, explains what she learned navigating the business development process. 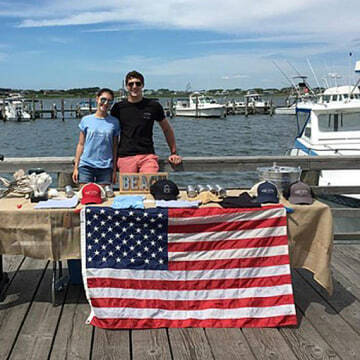 Fair Harbor produces board shorts made from recycled plastic bottles. Two and a half years ago, my brother Jake was sitting in one of his geography classes at Colgate, learning about plastic waste and its incredible impact on our planet. It really inspired him to enact change by creating a product that was both consumer-friendly and environmentally-friendly. He knew my passion for fashion so we started to look into different materials and fabrics. We found a polyester that turns water bottles into fabric. There wasn’t a company that really used it to its full potential. Colgate has an entrepreneurship program called Thought Into Action, so with its help, along with mentors and Colgate alumni, we were able to source the fabric and transform it into a men’s board short. We hired a consultant to be the middle man between us and the factories. 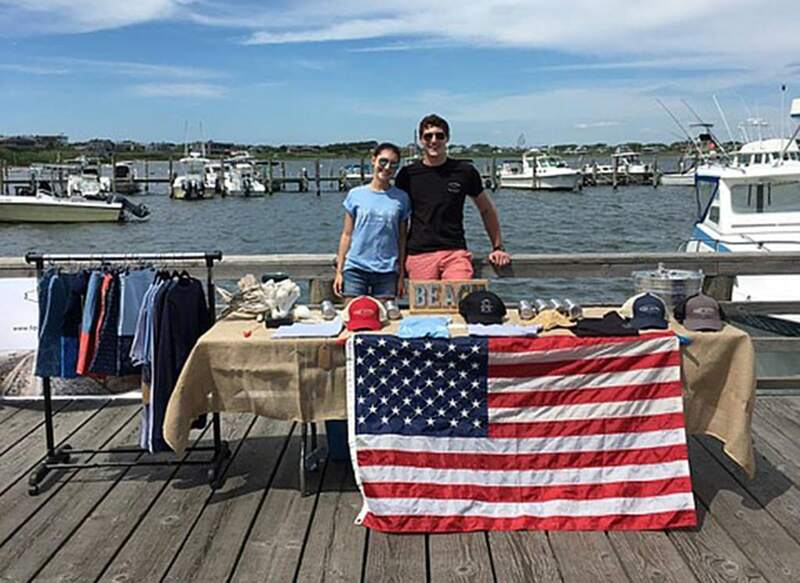 Neither of us has any background in fashion or product production, but we have a commitment to the environment, and to our childhood beach town, Fair Harbor, on Fire Island in New York. There are no cars allowed, everyone rides their bikes, and we would wake up and fish and make scrambled eggs and snapper for breakfast. We were inspired to preserve towns like it for years to come. The past two years when Jake was at Colgate, he was also the goalie for the Division I men’s lacrosse team. He balanced his school work, playing lacrosse, Thought In Action and Fair Harbor. Last year, we would sit for two hours every day really working on it together. And this year, since Jake is doing it full-time in an office space in Williamsburg, Brooklyn, he lives and breathes it 24/7. I’m also a yoga instructor here [at Colgate]. It’s definitely a juggling act, especially since Jake is in Westchester, and I’m in Upstate New York, but we talk all day long. Our basement at our parents’ house is our stock room. So it’s definitely a home-grown business. In every nook and cranny you’ll find a pair of Fair Harbor board shorts or a water bottle or a packing slip. We’re outgrowing our space downstairs, but we can’t complain that we have free storage. They’ve been incredibly supportive. We want to change the way the millennial generation looks at consumer products. It’s not just, ‘I’m going to buy a ton of cheap pieces and throw it all out at the end of the season.’ Fabric doesn’t have to be something we make and throw away. We want to innovate it into something completely different from what its first life was, and do it in a way that’s stylish. I think back to when we were just talking to friends and family, and they said, ‘You’re crazy to get into this,’ because I was just a senior in high school and Jake was a sophomore in college. Really trust your gut. I remember holding the first sample we had, which we made in the Garment Center in New York City. Needless to say it was awful, but holding it showed we were actually turning our vision into something. It was incredible to realize that whatever we thought we could do, we could create. That was the lightning bolt in my head. Listen and be cautious of the risk, but follow your passion. This is the time in our lives when we can take those leaps of faith, make mistakes, learn from them and move on.